There are youth sports administrators who take scoring out of games so that little Johnny or Suzie will not get his or her feelings hurt. These are the same types of people who would arrange 10 chairs in a circle for 10 kids playing musical chairs. When the music stops all the kids would have a nice comfortable place to sit and no one would get their feelings hurt by being left out. These mamby pamby administrators would have a coronary watching a penalty kick shoot out to decide a U10 girls State Cup Soccer game. A penalty kick shoot out is soccer's version of musical chairs. premier league champions, the Lightning, in the elite eight. Our team got off to a fantastic start scoring two quick goals. The Lightning did not panic and eventually tied the game on a low rocket shot through traffic that took our goalie, my daughter, by surprise. My daughter made up for it with about 1 minute left in the game when she thwarted a 1v1 by aggressively coming out and deflecting a shot wide which forced overtime. Overtime in the State Cup consists of two 10 minute periods. At the end of these two periods the two teams remained tied at 2-2. The game would be decided on penalty kicks. The players on the field at the end of the overtime are the ones eligible for the shoot out, so the coach must make sure his top shooters and goalie are on the field. At the end of the game, the players on the field cannot leave the field. This rule is in place so that the ref can ensure that the players on the field at the end are the ones participating in the shootout. 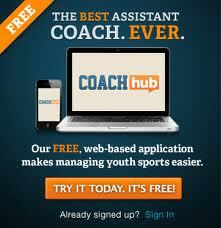 The coaches submited their shooting order to the ref. Each list consists of 5 shooters. A coin flip determined who shoots first, the opposing team elected to go first. The fans on the sidelines moved closer to the goal chosen for the shootout. Goalie one (my daughter in this case) took her spot on the line between the pipes. All passersby stopped to watch. You could hear a pin drop. The ref instructed the goalies that they must stand on the line until the ball is kicked. The ref pointed to the position on the field where the kick should be placed - usually it is marked with a line. The field my daughter was playing on did not have a line. The shooter placed the ball on the ground making sure it is sitting up and not in a hole. The ref blew the whistle. Shooter #1 from the opposing team shot the ball - my daughter made a tough save on a ball that found too much of the middle of the goal. 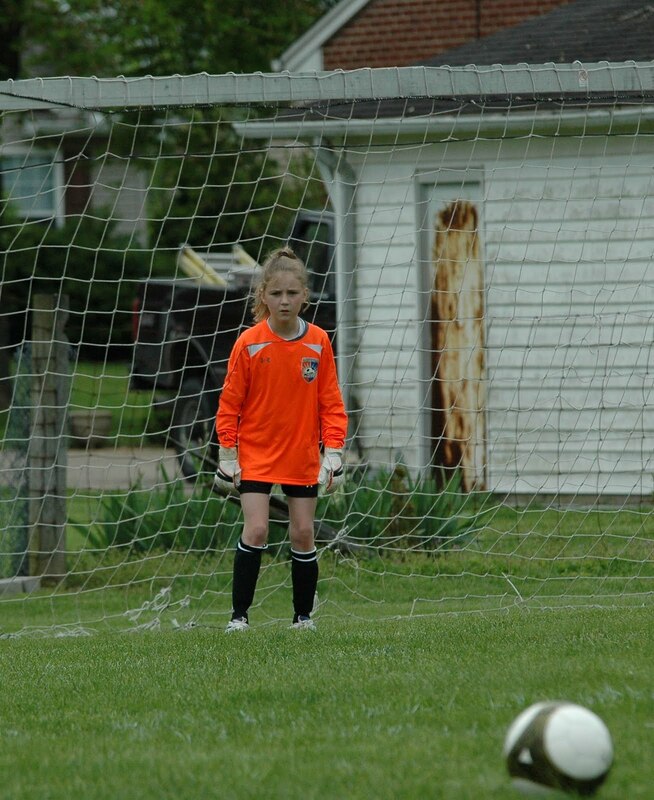 The other goalie took her position in the goal and my daughter moved to the corner flag feeling confident. Shooter #1 from our team took her position, shot and scored. The opposing goalie immediately began to cry. The opposing coach went to console the 10 year old girl, but the director of referees informed her that that was against the rules. The coach pleaded that these are 10 year old girls, have a heart. He did not relent so she consoled the girl from afar. The opposing goalie saved our #2 shooters shot. It was a shot that was not kicked with much confidence or pace. My daughter faced the #4 shooter who drilled one over my daughters hands, but the ball hit the crossbar and rebounded back past the shooter. Our #4 shooter shot the ball directly to the goalie. The score remained 2-2. My daughter faced the #5 shooter and made a tough save that she deflected downward and then gobbled up. As soon as she made the save she threw the ball to the ref, ran out of the goal, took her gloves off and threw them to her coach. As she did this, I was trying to figure out what was going on. Then I realized, my daughter was shooter #5 for our team. She placed the ball on the spot and looked at the ref. She never once looked at the goalie, goal or the ball. She waited. The refs cheeks puffed out and the whistle sounded. She immediately approached the ball and calmly placed a hard low shot into the left hand corner of the net. When the music stopped. My daughter had a seat at the victory celebration and the other goalie went home crying. It could have easily been the other way around. I believe that my daughter was confident and more prepared so she had an advantage. Before the round of 16 game, I told my daughter, CC, that if the game ends in a tie that the game would be determined by PKs. She said, "Cool. I hope that happens." 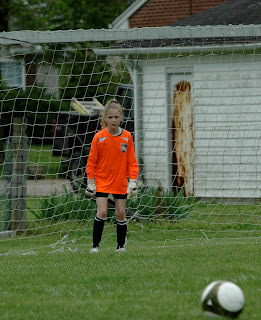 CC's team won that game 4-1, but in the second half, my daughter had to face two PKs due to penalties in the box. She saved one of the two. She gained valuable experience from both the save and the goal she gave up. After the game, I told her that saving 50% of shots is fantastic. I told her that the shooter has the advantage and if you get in a shoot out, you do not need to save them all. You just need to save more than the other goalie. Perhaps this conversion is why CC was unfazed and the other goalie was not able to control her emotions. I think that this was a character building event for all the girls. The winners and the eventual losers, who we play again next week in league play. Saving just one shot let alone 50% is amazing! A PK is one of the top ten hardest things to do is sports. CC looks great in her picture just tell her that when she is in her ready stance to have her palm facing outward. She is not in the ready position above - she is waiting for the ref to give instructions in that picture. She is in the stare down position.